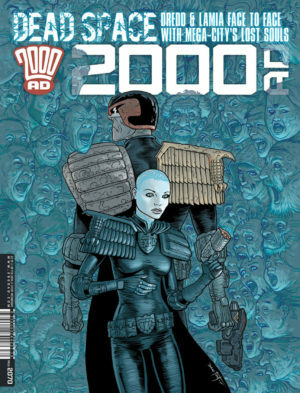 More action and adventure in the future-shocked world of Judge Dredd! The epic Razorjack crossover ‘This Corrosion’ by Michael Carroll and John Higgins comes to explosive conclusion as the lawman fights for his life to escape the demonic dimension; Devlin Waugh’s date night goes from bad to worse in ‘Kiss of Death’ by Rory McConville and Mike Dowling; secrets are revealed in ‘The Returners’ by Si Spencer and Nicolo Assirelli; Oz faces destruction in Chopper: ‘Wandering Soul’ by David Baillie and Brendan McCarthy; and there’s the start of a special Strange Brigade story by Gordon Rennie and Tiernen Trevallion to tie in with this year’s must-have action-horror videogame. Plus the usual interviews and features – and in the bagged supplement this month, a former Chief Judge dispenses justice in Mega-City One in The Streets of Dan Francisco by Arthur Wyatt and Paul Marshall! 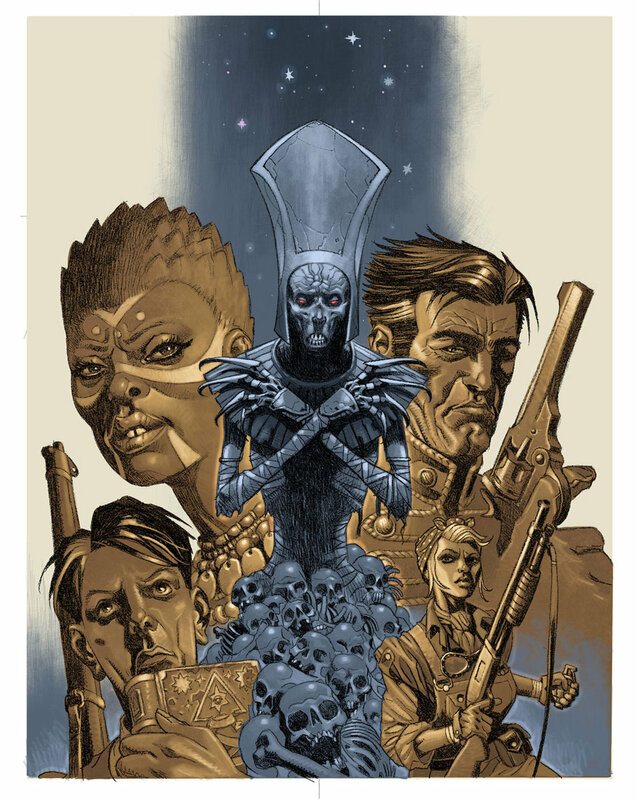 Incredible SF action from the Eisner-nominated UK anthology! Judge Dredd’s on a high-speed elevator straight to hell in ‘Elevator Pitch’ by Rob Williams and Chris Weston; young Jess attempts to save Fairfax in Damned: The Fall of Deadworld by Kek-W and Dave Kendall; Nolan Blake learns the truth behind the ‘Crown’ in Skip Tracer: ‘Heavy Hangs the Head’ by James Peaty and Paul Marshall; and two new series start: Grey Area’s back, and the Exo Transfer Control cops battle murderous aliens, courtesy of Dan Abnett and Mark Harrison, and we journey to the New World in the time-shift fantasy saga The Order by Kek-W and John Burns!